In this image this mama is cradling her beautiful newborn in the comforts of her home in Shadyside, Pittsburgh. 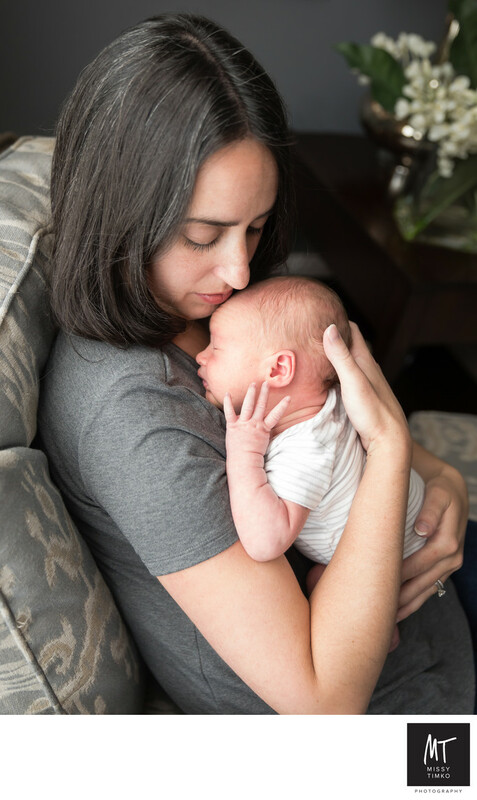 I often like to feature client homes (in lieu of my custom Mount Lebanon photography studio) for newborn portraits as it can provide a timeless nostalgia when looking pack on the photos as time passes. I speak from experience here as I still look back fondly on pictures of my little ones when they were newborns. Being able to shoot in your home helps to provide an additional snapshot of that moment in time. Location: Shadyside, Pittsburgh, PA .